A Workshop on "Unraveling the Depths of Pranayama Practice"
This workshop will focus on continuing regular practitioners of Pranayama where the relevance of certain supportive techniques like mudras and bandhas will be discussed and will be introduced to practitioners based on their pulse and progress. We will focus around -“relevance of Kumbhaka, mudras and Bandhas in relation to Pranayama”. This will be a practice centric workshop. The day will begin with pulse check. Some new meditational techniques as well as chants will also be introduced during the workshop. Pranayamic/ Pranic pulse will be taken prior to the morning pranayama practice. At the end of the workshop based on their pulse sheet all participants will be recommended a individual Pranayama practice regimen. For participants who were recommended a practice at previous workshops with Sudhir Tiwari (or O.P. Tiwari), their progress will be checked and if needed the practice will be modified to suit the level of progress. 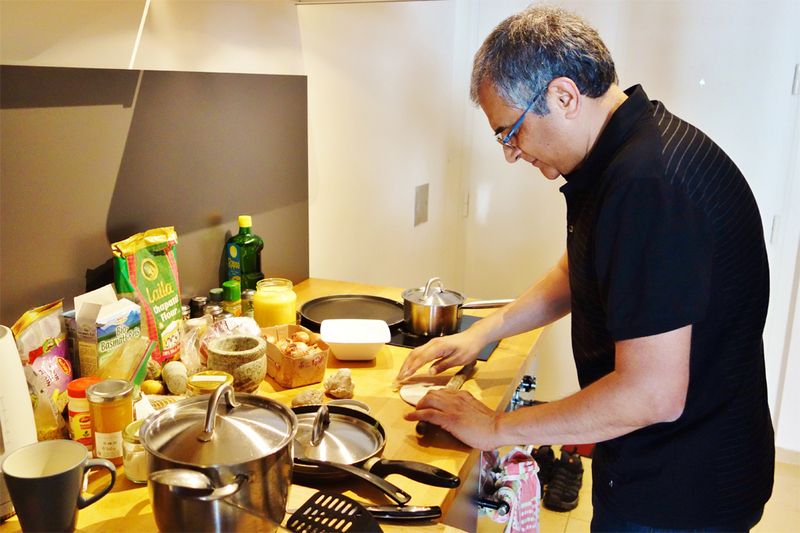 Personal Ayurvedic consultation with Sudhir: All participants will have the optional possibility to have a personal ayurvedic consultation with Sudhir. The dates for the appointments will be fixed together with the application. 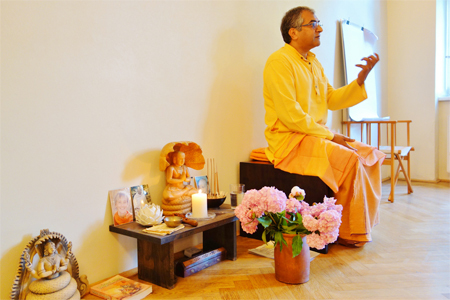 The costs for the personal ayurvedic consultation is a so called “Love offer” (means “freiwillige Spende”). The Collection box will be at the studio. At the time of consultations the ayurvedic pulse will be taken as well as ayurvedic and western herbs/remedies will be suggested, based on ayurvedic principles and on queries by the participants as well was appropriate diet references. The consultations will address health and lifesystyle issues. The Workshop will be held in English. Sri Sudhir Tiwari is the eldest son of our beloved and highly respected teacher Sri O.P. Tiwari. Sudhir was brought up at Kaivalyadham Yoga Institute, in Lonavala, India, amidst rich traditional yogic heritage of Swami Madhavdasji Maharaj, Swami Kuvalyanandaji and Swami Digambarji. Swami Digambarji initiated Sudhir in 1981 and accepted him as a disciple. Sudhir received his primary and advanced Yogic and Ayurvedic training from Swami Digambarji which included the study of traditional texts, mantra yoga, fire ceremony, pranayama and various aspects of adhyatm (spiritual) yoga. Sudhir also learnt pranayama and Hathapradipika from his father. When you meet Sudhir, you will know he has lived and breathed yoga his whole life. He is such a humble, yet energetic and enthusiastic teacher with a mastery and knowledge of yoga you won´t be able to find very often. In his workshops you cannot only explore the tradition but also the scientific reasoning behind why we do the yogic practices. 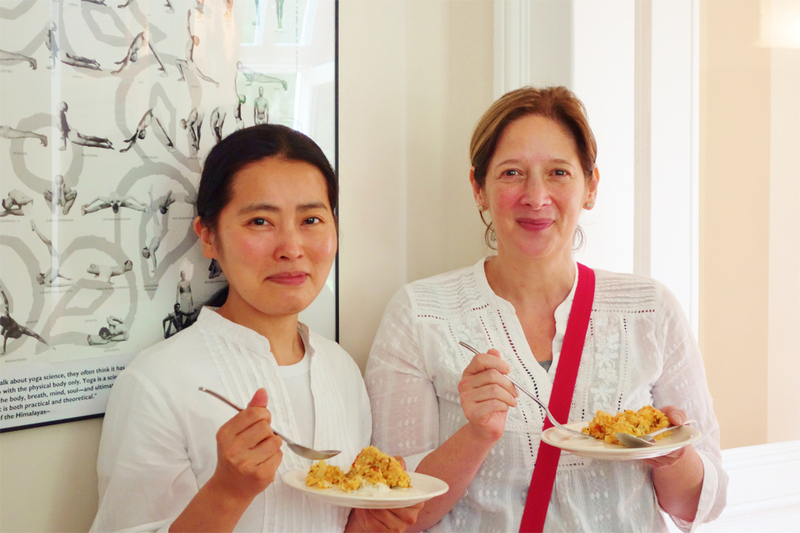 We will also be looking into ayurveda, yoga’s sister science, and why they are synergistic. Sudhir held workshops at Pureyoga in 2013, 2014, 2015 and 2016 and instantly he could gain a crowd of fans. 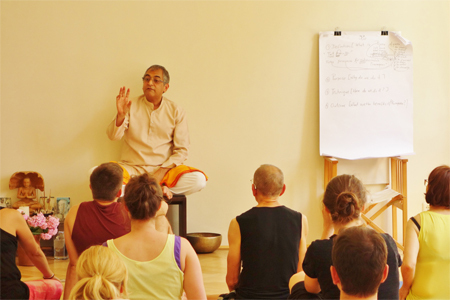 Now we are very happy to welcome him again for a workshop at Pureyoga. Subject to alterations. Minor changes to the schedule are possible. A detailed time table will be published shortly before the workshop. 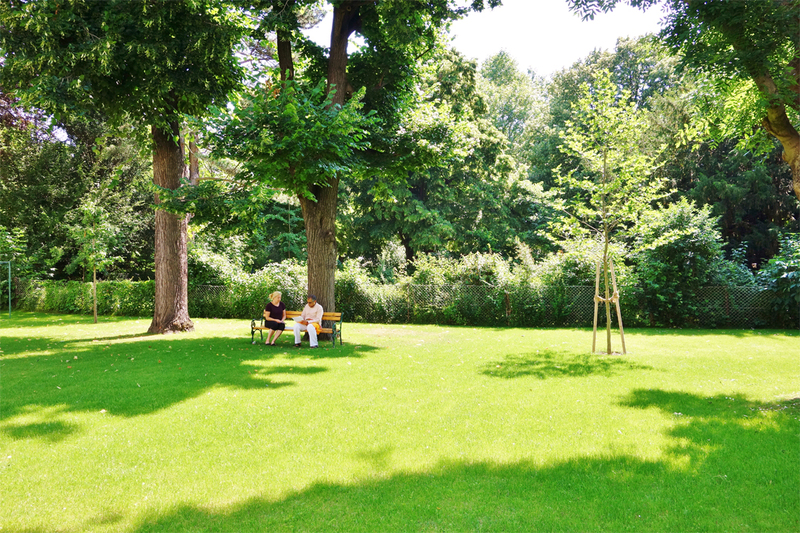 *) Consultations – Time for consultations will be approx. 20 minutes per participant. We will fix the date and time for the appointments together with your application. 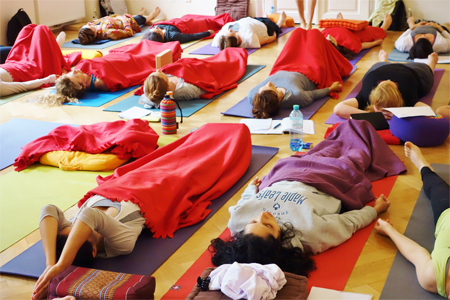 We recommend that you attend the workshop “Auffrischung Pranayama” with Horst at 27.04.2018. 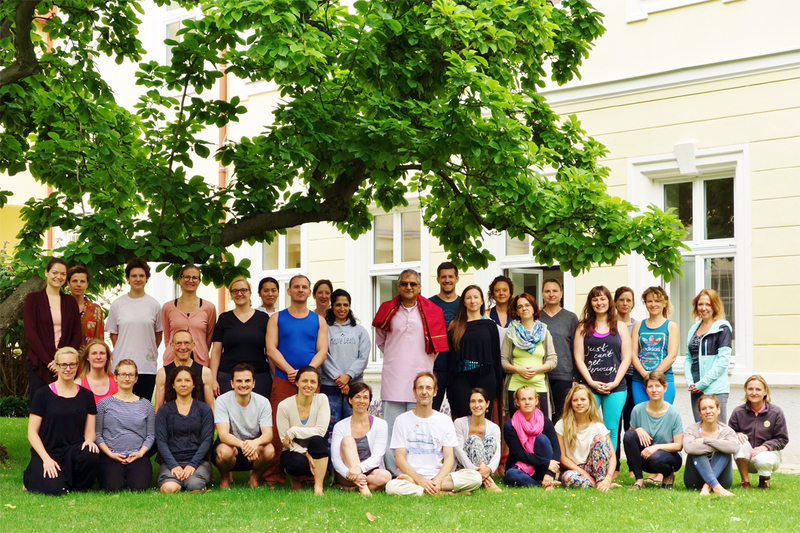 Auffrischung Pranayama 04.2018 prior to the workshop with Sudhir. 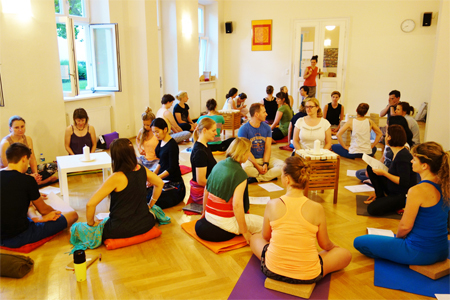 Anmeldung mit Email an info@pureyoga.at UND Überweisung der Veranstaltungsgebühr. Der Kursplatz ist erst mit Bezahlung des Kursbeitrages fix reserviert. Achtung: Die TeilnehmerInnenzahl ist beschränkt. Die Plätze werden nach dem „First come, first serve“ Prinzip vergeben! bis 90 Tage vor dem Workshop- oder Kursbeginn wird eine Stornogebühr von 25% des gesamten Kursbeitrages verrechnet. bis 45 Tage vor dem Workshop- oder Kursbeginn wird eine Stornogebühr von 50% des gesamten Kursbeitrages verrechnet. weniger als 45 Tage vor dem Workshop- oder Kursbeginn ist keine Refundierung oder Gutschrift des Kursbeitrages möglich. Es kann eine Ersatzperson zum Workshop oder Kurs gesendet werden. Die Personaldaten der Ersatzperson (Vorname, Zuname, Emailadresse und Telefonnummer) müssen rechtzeitig vor Kursbeginn an Pureyoga bekanntgegeben werden. Sollte jemand von einer eventuellen Warteliste den Platz übernehmen können, wird nur ein Administrationsbeitrag von € 45.-einbehalten und der Restbetrag refundiert.